To get the best selection of used Toyota vehicles for sale in Montreal near Châteauguay, Saint-Laurent and the South Shore, come meet us at Spinelli Toyota Lachine! 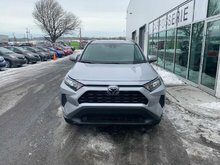 We offer you a large inventory of Toyota certified vehicles and Toyota liquidation vehicles at the best prices in Montreal, and you can also take advantage of our current Toyota promotions. Come see us today and you will see that once you once you come in for a visit, you'll want to come back again and again! Among our used cars near Laval, you will find a wide selection of used Camry, pre-owned Yaris or even the used Corolla you've always dreamed of! And if you are looking for a used Sienna or even a pre-owned SUV like the used RAV4, you'll find what you're looking for here! Come see us or visit our website to take your pick from our many Toyota vehicles for sale in Montreal! Did you know that several of our used vehicles are client returns? This way, you can be sure that the maintenance on our used Toyota models near Laval has been done properly and in a timely manner and that we have the complete maintenance and repair history for each vehicle. Also, each used Toyota vehicle that we stock has undergone a meticulous inspection by our certified technicians, which guarantees you that you are buying a vehicle that is in excellent condition, for a fraction of the price of a new model! 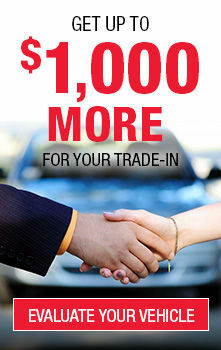 Want to learn more about our used Toyota vehicles for sale in Montreal and their many benefits? Go to the Spinelli Toyota Lachine website today or better yet, come see us! We are located near Châteauguay and the South Shore.